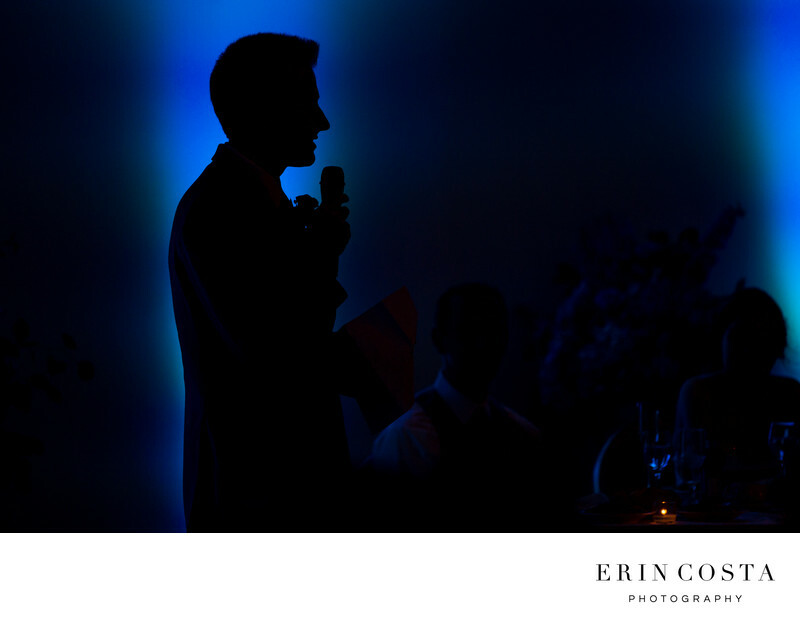 I love this silhouette of the best man giving his speech during Deanna & Kevin's wedding. Of course we got the well lit safe shots, but as I was standing there looking around, I realized the blue uplighting was bright enough to silhouette him and he was standing in just the right position. This is just a different perspective of a toast photo at a wedding reception.